Click the preview image to the left for a video demonstration of the application. 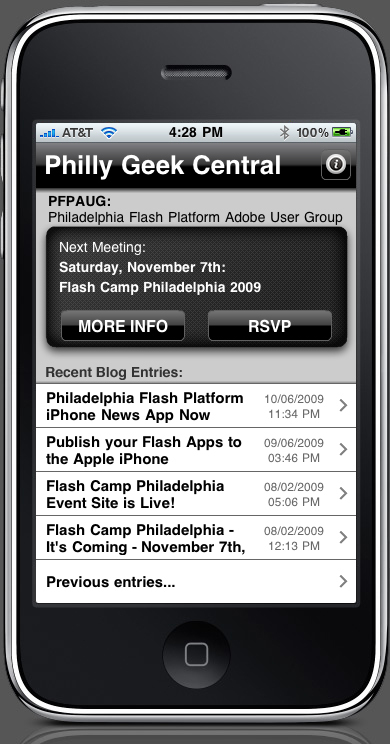 This application was written entirely in ActionScript 3 and compiled/published using the Adobe Flash CS5 iOS Packager for the iPhone version and Adobe AIR 2.5 for Android. Android version available here in the Android Market. Tested on Nexus One. Requires Adobe AIR for Android and Android 2.2 (Froyo) or higher.